Paper : 2 sheets 27cm x 40cm signed sealed and stamped. Typescript with plan of property. 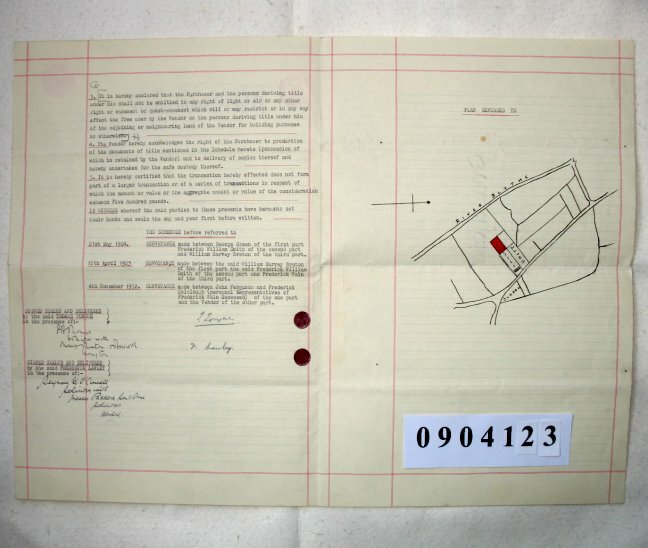 Thomas Tongue is selling a plot of land near Caverswall Lane, Caverswall, to Frederick Lawley for £65. It is a plot of 860 square yards and appears to be at the back of an existing house which fronts onto Caverswall Lane. We are told that this is part of a larger plot of 4 acres which was acquired by the vendor in 1932.